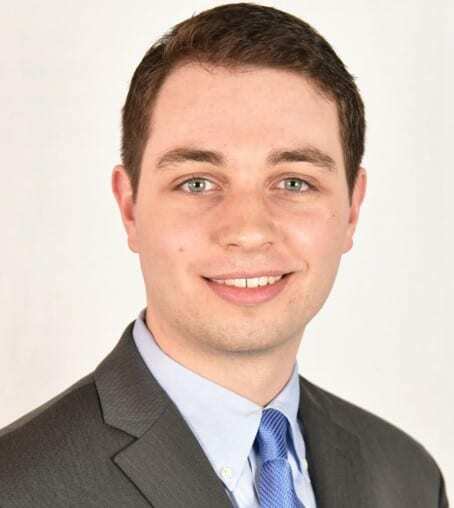 At the March 15th winter meeting of the New England Chapter of the American Association of Physicists in Medicine (AAPM), Thayer PhD student Daniel Alexander took home 1st prize in the Peter Neurath Young Investigator Symposium (YIS). The event was held at the Museum of Science in Boston, MA, and provided an opportunity for medical physics students and professional physicists, dosimetrists and therapists to hear the latest news and network. It featured invited speakers, a research panel, and eight YIS presentations. New this year, YIS presentations were made in 3-minute SLAM competition format to engage the audience and inform experts and interested attendees from outside medical physics. Dan’s talk was titled “Imaging Cherenkov Emission in Head and Neck Radiotherapy,” and detailed the use of Cherenkov imaging to conduct adaptive radiation treatment planning for Head and Neck cancer patients. Cherenkov technology provides the ability to non-invasively images radiation dose delivery. Working with Radiation Oncologist Dr. Lesley Jarvis at Dartmouth-Hitchcock Medical Center, Dan used a custom mask restraint to image human subjects as well as with tissue phantoms.